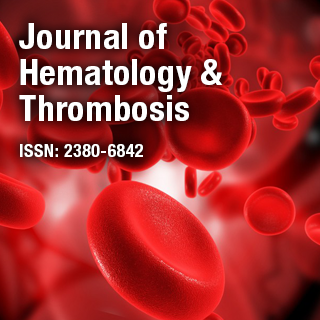 Journal of Hematology & Thrombosis is an international Open Access peer-reviewed scientific publication encompasses the concepts related to blood and its disorders. The journal reports biologically significant findings in the fields of general and clinical hematology including the study of etiology, diagnosis, treatment, prognosis, and prevention of blood diseases and acute & chronic vascular thrombotic diseases. Dr. Roy E. Smith is a Professor of Medicine, Division of Hematology-Oncology at University of Pittsburgh, USA. He served as the Director of Hematology Fellowship Training Program, Clinical Coagulation Service and OSU Hemophilia Center. His research interests are Colorectal Cancer Bleeding & Thrombotic Disorders.